Beth Robertson is a SVP, Senior Managing Consultant, within the Corporate Benefits Division. She came to the firm with 20 years of experience in the areas of health and welfare benefit programs, human resources, financial management of ERISA plans, and benefits administration technology. Throughout her career, Beth has demonstrated a proven track record of developing and maintaining strong relationships, both internal & external. The majority of Beth’s work has been in the mid and large market (200+ employees) across multiple industries, focusing on numerous employee benefit issues, including strategy planning and execution, plan design, financial analysis, market solicitations, cost containment, care management, the explosion of healthcare technology, retiree medical, collective bargaining, benefits harmonization, and employee communications. A key focus area over the last 12 years for Beth has been working with government contractors, with varied experience including Service Contract Act (SCA). Additionally, she has worked with several nonprofit and NGO’s and understands the complexities of these sectors as well. Health Care Reform continues to be a primary component of Beth’s work, assisting clients with the development of multi-year strategies and compliance. Prior to entering the Broker/Consultant world, Beth’s career was in Human Resources which has proven to be invaluable experience that she continues to use in her day-to-day life as a Consultant/Advisor. Beth is a Pennsylvania native and a graduate of Penn State University. 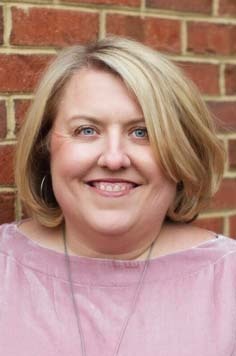 Since college, she has lived in Northern Virginia with her husband, three children, and two dogs. Beth has a passion for adventure, loves to travel and spend time with friends and family.